As you may know, each time a new web page, post or website is published publicly on the internet, search engines send their web crawlers to scan it and index it if they find a link to access it. If you have never heard of the word Web Crawler(s), then, web crawlers are like mini-programs whose purpose are generally crawling and indexing web pages, posts or websites that abide by the rules of search engines. When a page or a website gets crawled and indexed, it becomes searchable and accessible through search engines. For instance, if you type the keyword “site:clevious.com” in Google or Bing, you will find all the posts and pages of our website which got crawled, indexed and are currently searchable in Google and Bing search engines. 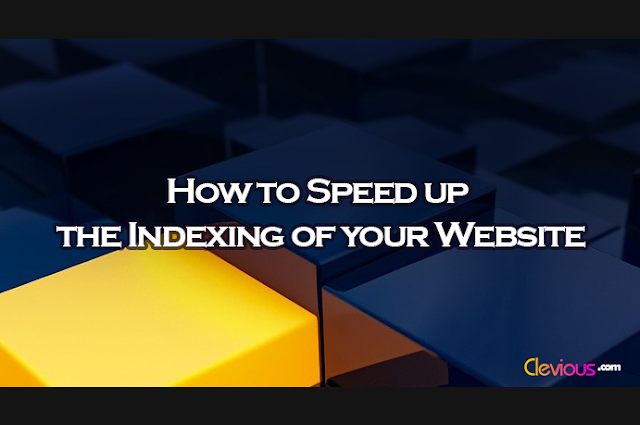 If you want to have your website crawled and indexed as soon as possible, then this quick guide will show you how to speed up the crawling and the indexing of your website in 2 easy steps. For web crawlers to start indexing your website, they need to find a link to it to crawl it, then index it. One way of speeding up the crawling of your website is by submitting it directly to search engines. In general, submitting a website to search engines can only be achieved by creating an account on their respective Webmaster Tools. You just need to create an account, add the different versions of your website (with www, without www and https:// if exists) then following the instructions which will be given by the search console. You just need now to create and submit a sitemap, then fetching the website as Google. 1. If you want to know how to create and submit a Sitemap to Google Webmaster Tools: Click Here. 1. Connect to Google Webmaster Tools. 2. Click on Crawl then Fetch as Google. 4. Click on Request indexing. 5. Verify that you’re not a robot; click on Crawl This URL and its direct links then Go.